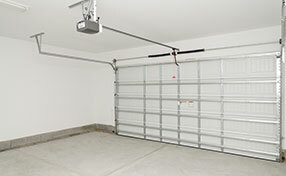 The choice of garage door opener and installation depends on the owner of the garage. There are two options available. One of them involves the purchase of a unit for professional installation and the use of such a service. The other one is to buy a unit for do-it-yourself installation and do the job. The major difference between the two options is the rail, which connects the operator to the door and houses the drive. The units which are designed to be installed professionally have a one-piece rail. Their DIY counterparts have a rail which consists of a several pieces that can easily be transported in a standard vehicle. The pieces are assembled together so that the rail becomes ready for installation and use. Units which are designed to be installed by layman can be installed by professionals, if necessary. It is not possible for people without technical knowledge and skills to install units which have to be handled by professional technicians.